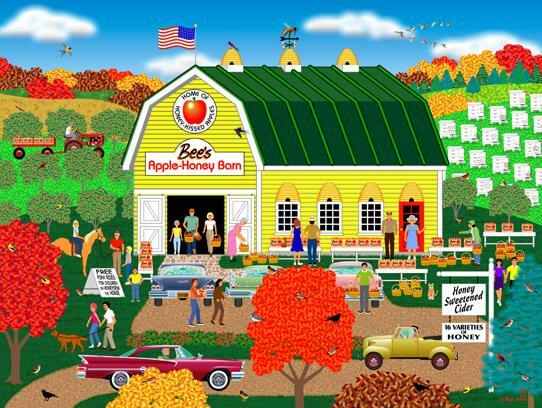 Americana, folk art, primitive print of the 1950s and 1960s Nostalgic honey apple farm, orchard, barn, bee hives, fall/autumn rural landscape scene. Featuring automobiles, car, tractor. Outdoor scene with wildlife, birds, bees, horse, dog, cat.